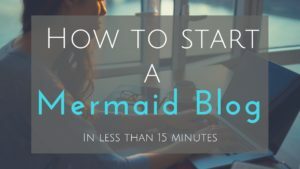 Hello, my beautiful Merfolk! I got some mermaid leggings the other day and usually order a large, and these were so small!!! I felt like a stuffed sausage. How sad. 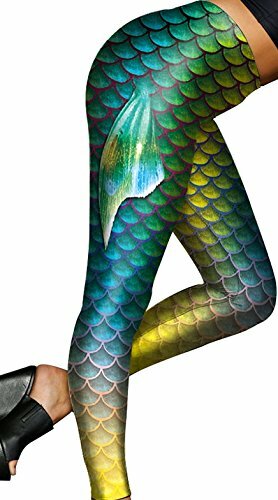 I wondered if there was a place to buy plus size mermaid leggings and eventually I found some. Hooray! 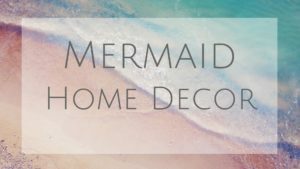 So, I thought I would make it easier for you and find the plus size mermaid leggings online that actually do come in larger sizes, and cost less than $20. Let me know if this is helpful! I hope so! Besazw comes in 3 different colors, red, green and blue mermaid fish scales. Most leggings are a mix of spandex and polyester. The more spandex, the better, as it allows stretch for the size leggings you need. The Pink Queen brand is set apart with the knee length Capri style with the breathable stripe down the side. There are some great reviews on the fabric but some do say they run small. Diamond leggings have some crazy colors I haven’t seen before. They only go up to XL but wanted to include them for the selection as these mermaid scales are out of this world. The Cocoleggings have a thicker band at the top which I prefer. I feel like it dosn’t cut into my stomach as much. On the other hand, they might ride down if you bend over so depends on what you want them for! 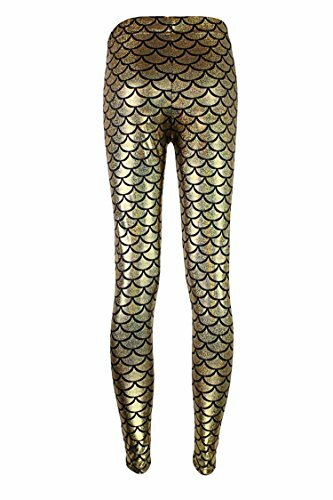 Be aware, these shiny fish scale leggings don’t have much stretch to them and can be see-through. 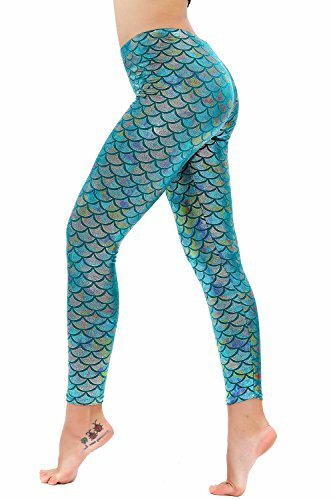 The Alaroo is made from more spandex than the previously posted and has some really fun mermaid prints with hip flukes. This makes them better for workout leggings. I have seen both men and women wearing these! Also not a bad idea for a Halloween costume. I love these bright vibrant blue colors, and a high waist cut. Great reviews and fit to size! 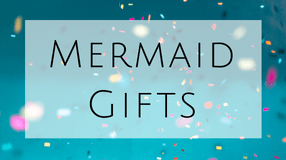 Jescakoo is a great brand for not only mermaid leggings but skirts and dresses. 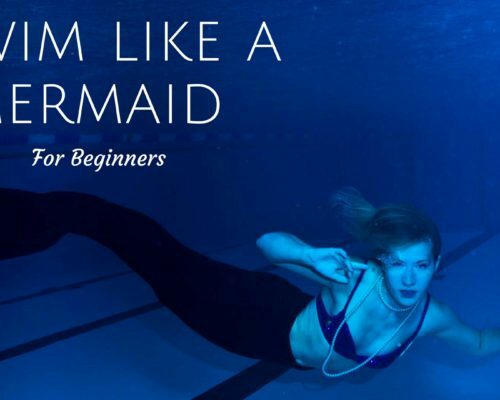 Made from the same material to fullfill all your mermaid dreams. That deep dark green would look perfect for a Disney little mermaid outfit. 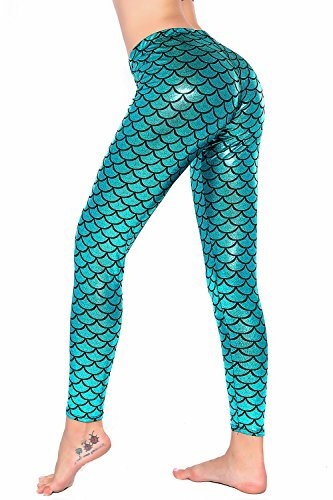 Most mermaid leggings are made from a polyester spandex material. More spandex, the more stretchy it becomes. There are some that include lycra or nylon but those are typically more expensive. If you are planning to wear them for a workout, look at the percentages and get one that is greater than 8% spandex. 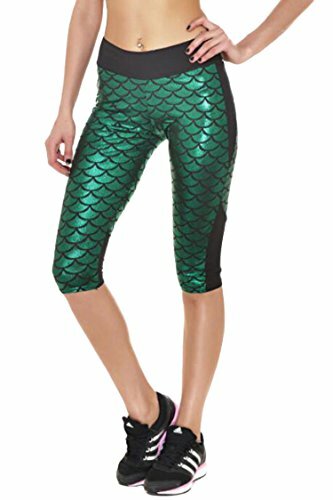 Or you can look for mermaid yoga pants which have some fun options too!